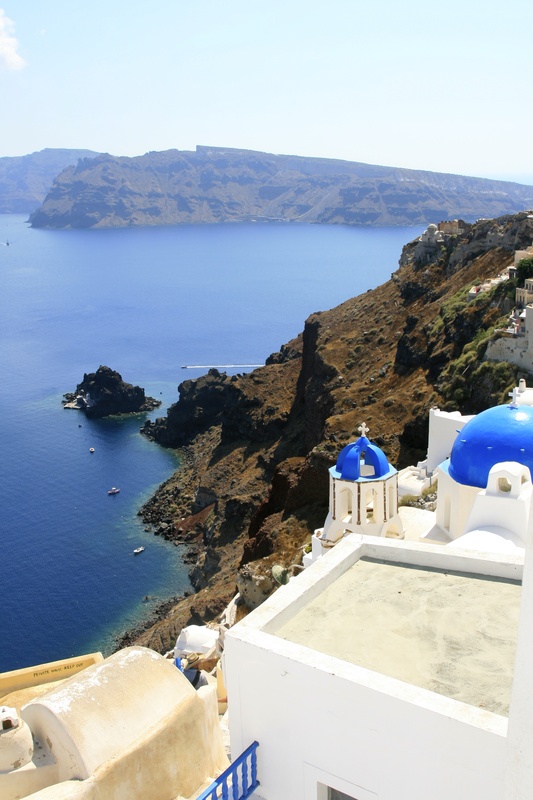 It might sound like a cliche but Santorini is all that you can imagine about a Mediterranean island if not more. This volcanic island offers crisp blue seas, breathtaking views, glorious sunsets, excellent produce (particularly tomatoes and aubergines) and incredible wines. The latter may come as a surprise for people not necessarily in the know. Greek wines can be surprising in their quality. But in terms of island wines, the ones which come from this beautiful island in Southern Aegean are exceptional. If you have never tried the white wine Assyrtiko, which has a potent dryness and minerality with strong hints of lemon, then you are clearly missing something really special. Just like with Riesling, the first time I tried this grape variety, I was immediately hooked. The volcanic soil of Santorini is great for grape growing and while many might consider the conditions to be too harsh for wine growing, both the land and the climate make for exceptional wines with great ageing potential. The wine makers to look out for in Santorini, and those which are also available outside the island are Domaine Sigalas, Hatzidakis and Gaia – not to be mistaken for the wines of Italian wine giant Angelo Gaja. Another white grape variety is Athiri which is also an indigenous, white variety. Athiri is an aromatic variety, of lower acidity than Assyrtiko and lower potential alcohol. This is also blended with Assyrtiko making a very interesting combination. Among the reds is the lesser known though equally excellent Mavrotragano, a red variety indigenous to the island. This grape came close to extinction but is again being grown by a number of wineries on the island. I can confirm that this wine has exceptional ageing potential. I have tasted a few 2004 over the years and still have a few in my cellar. When in Santorini we visited the winery of Domaine Sigalas close to Oia. The wine tasting was exceptional in that you tasted the wines pretty much in the middle of the vineyards in a perfect setting. Despite being a small island, Sigalas produces around 300,000 bottles of wine annually and their wines are exported to many countries including Germany, France, Belgium, Austria, Holland, England, Cyprus, Switzerland, Hong-Kong, Shanghai, Sweden, Singapore, Australia, Brazil, USA and Canada. We were told that the vines in Santorini are extremely old and have resisted to phylloxera (which is attributed to the fact that that the volcanic soil is well drained). This means that the vines did not need to be replaced during the epidemic of the late 19th century. 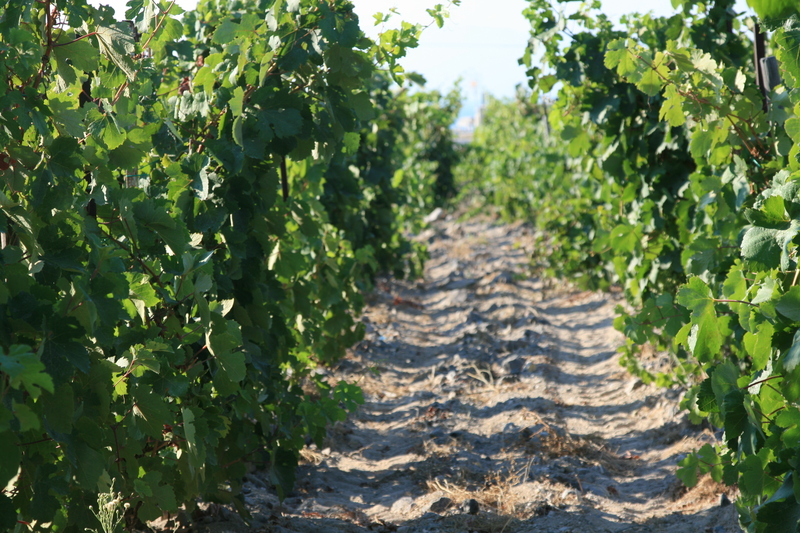 What is interesting about the Santorini wines is that the vines are planted far apart to get as much exposure to dew as possible and they are often made in the shape of low-spiralling baskets, with the grapes hanging inside to protect them from the island wind. My recommendation is to try the wines from Santorini if you come across them whether in your favourite wine store or a restaurant or wine bar. You will surely not to be disappointed. The white Assyrtiko might well be among the best wines you have tried in many years.